Tomatoes are nutritious and attractive fruits with an interesting history. They were once considered to be poisonous but are now a staple in many meals and dishes. People may not realize how much flavor is missing in today's tomatoes compared to those of the past, however. Our modern breeding techniques have produced a beautiful and firm fruit that travels well and is resistant to many diseases, but its flavor has often been sacrificed. Researchers have discovered thirteen chemicals that contribute to the taste of the most flavorful tomatoes that exist today. They've devised a plan for selectively breeding tomato plants for the genes that code for the chemicals. The goal of these scientists is to return the taste to regular grocery store tomatoes. While we're waiting for the new plants, we can take other steps to improve the chance of finding flavorful fruits. Tomatoes are often referred to as a vegetable. Biologically, however, they are a fruit because they contain seeds. Since this is an informational article rather than a culinary one, I use the biology term. Tomatoes have the scientific name Solanum lycopersicum. They belong to the family Solanaceae, or the nightshade family. The origin of the common name of the family is uncertain. 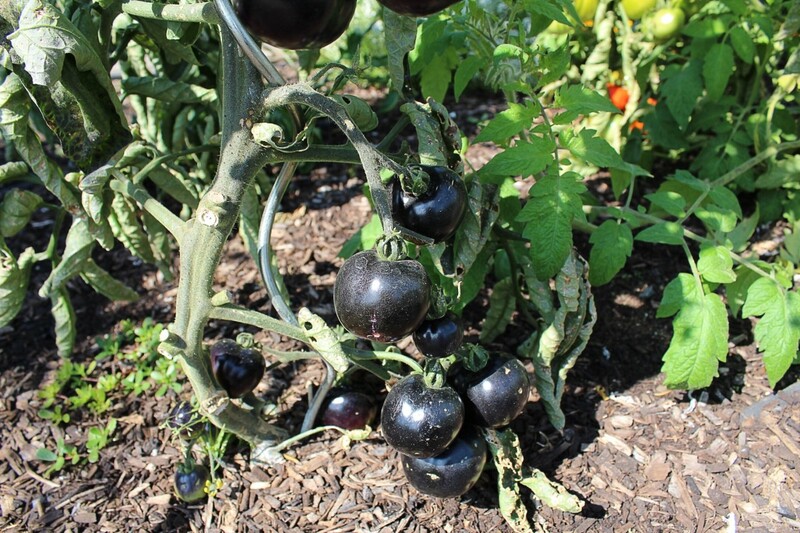 Some members of the nightshade family are poisonous, but many are edible. Potatoes (but not sweet potatoes), eggplants or aubergines, chili peppers, bell peppers, and tomatillos are all nightshades. 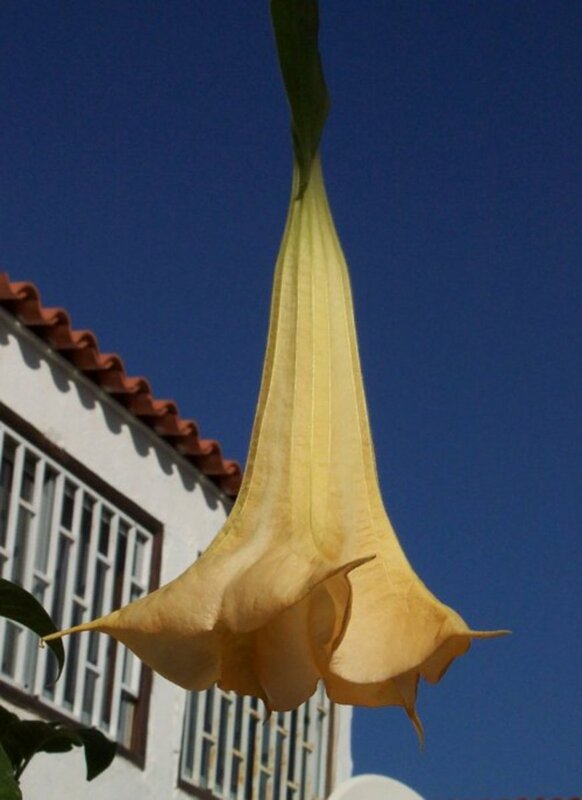 The nightshade family also contains ornamental plants, including petunias and Chinese lanterns. Goji berries (sometimes known as wolfberries) belong to the Solanaceae family as well. 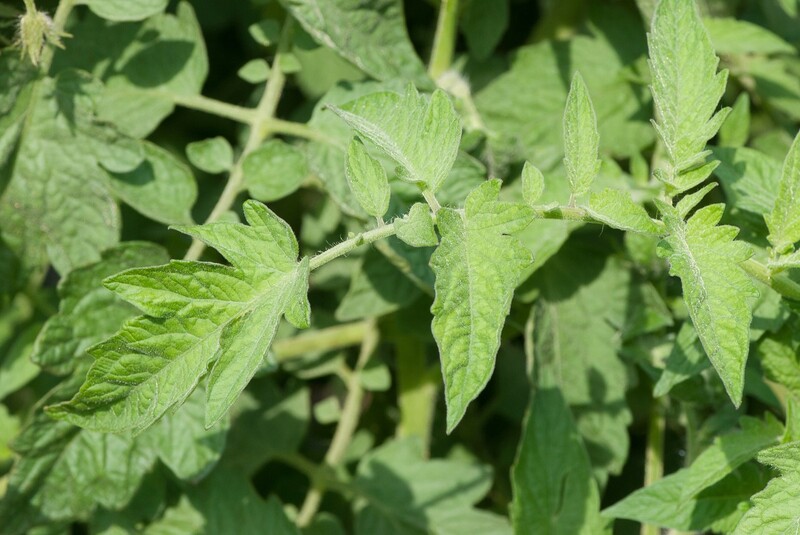 The tobacco plant, the deadly nightshade, and the bittersweet nightshade are additional members of the family. 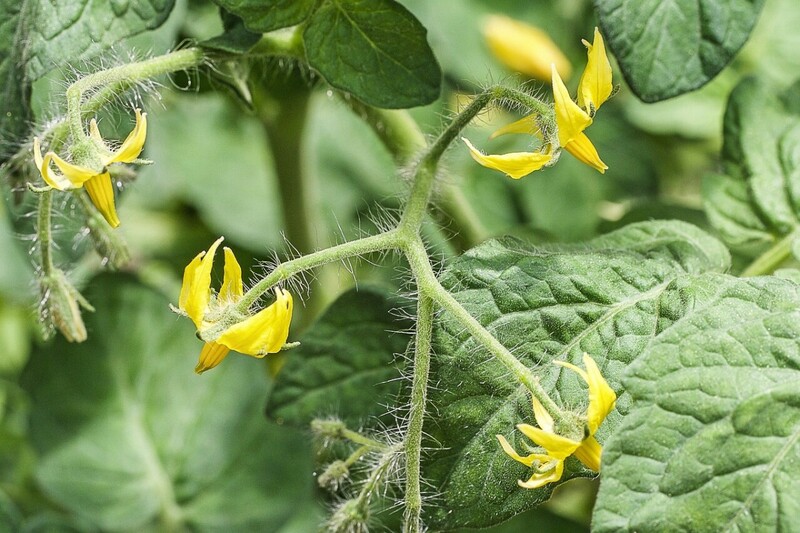 The flowers of a tomato plant are yellow. The fruit is classified as a berry. Inside its outer flesh are spaces known as locular cavities. These cavities contain the seeds, which are enclosed in a gelatinous membrane. The plant has compound leaves that consist of smaller leaflets. The cultivated tomato plant grows as a vine (an indeterminate plant) or a bush (a determinate plant), depending on the variety. Vines can grow very tall and require support from stakes, a cage, or a ladder. They continue to produce fruit throughout the growing season. Bushes are smaller and more compact. They may not need any support. They produce all of their fruit in one short period during the growing season. Wild tomato plants in the genus Solanum exist. 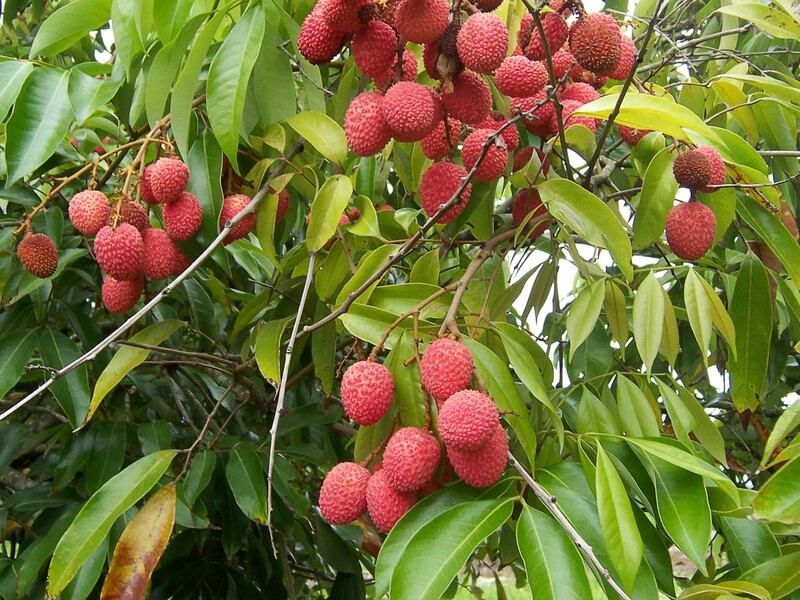 They produce smaller fruits than the cultivated varieties. Some of their fruits are edible and others are poisonous. It's very important that a person doesn't eat a fruit from a plant known as a wild tomato without identifying the species and without knowing whether that species is safe to eat. Most modern varieties of tomatoes are hybrids. 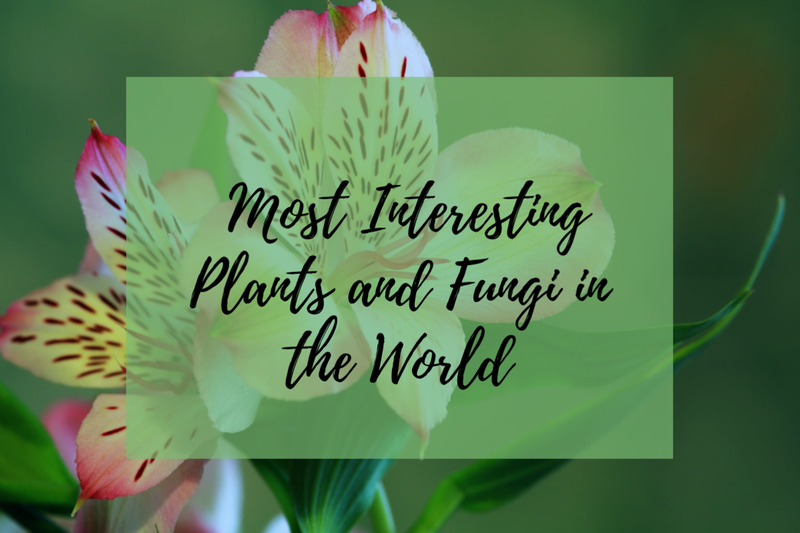 They were created by a cross between two genetically different plants with the goal of combining great features from each one. Modern varieties of cultivated tomatoes are a healthy food. Most varieties are deep red or orange red in color due to the presence of a pigment called lycopene. 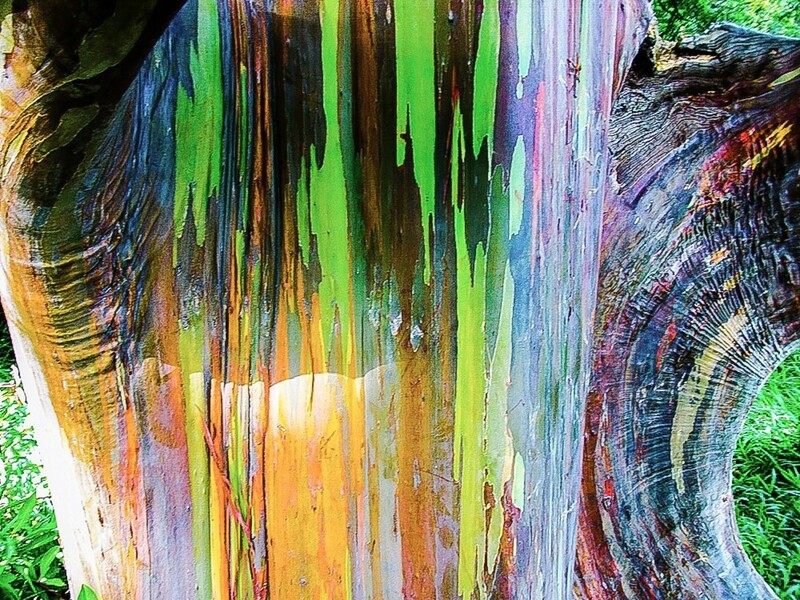 This pigment belongs to the carotenoid family of chemicals. 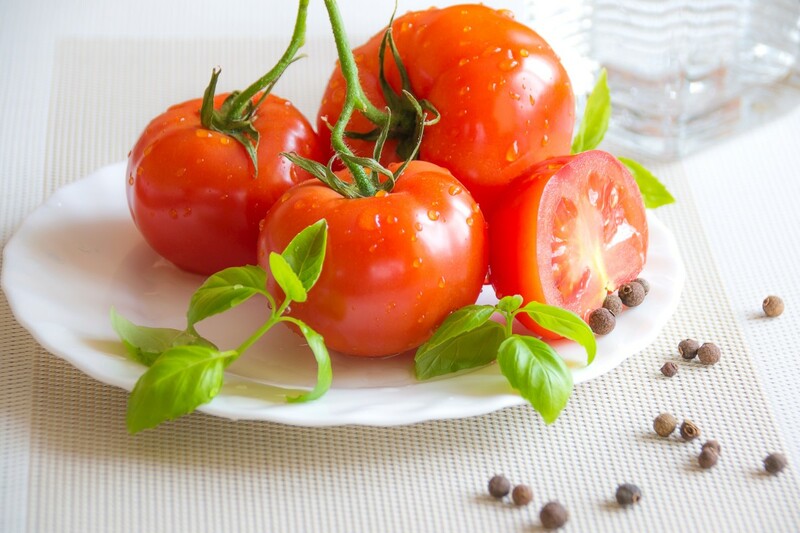 Tomatoes also contain an orange pigment known as beta-carotene which is converted to vitamin A in our body. A few years ago, lycopene was touted as a preventer of prostate cancer, especially when the tomatoes containing the chemical were cooked. Newer research suggests that the effect of lycopene on cancer development may not be as strong as was once thought, though the chemical may have a modest benefit. Lycopene may have other health benefits as well, but more research is needed. Raw tomatoes are a very good source of vitamin C and a good source of vitamin K. (The vitamin C level is reduced when foods are cooked.) The fruits are also a good source of potassium. They contain smaller but still useful amounts of other nutrients. The wild version of today's grocery store tomatoes is thought to have originated in Peru. It was cultivated in pre-Columbian Mexico. The cultivated plant was probably taken to Europe by Spanish explorers in the early sixteenth century. It was introduced to eastern North America from Europe in the eighteenth century. In the sixteenth century, a prominent European herbalist claimed that because cultivated tomato plants belonged to the nightshade family—which had a bad reputation at the time—they must be poisonous. This claim wasn't contested for many years. Tomato plants were used for ornamental purposes, but their fruit wasn't eaten. Even after the fruits began to be used as food, the idea that they were potentially dangerous lingered. According to the Smithsonian Magazine, the tomato was once known as a poison apple because some wealthy Europeans who ate the fruit died. We now know that the people were actually being poisoned by their pewter plates. Poorer people were safe because they couldn't afford the plates. Pewter is an alloy that was originally made of tin and lead. (Today the tin is generally alloyed with other metals instead of lead.) In the case of the unfortunate diners, the acidic juice from the tomatoes leached lead from the plates. As a result, people died from lead poisoning. Another interesting event in tomato history happened in the 1830s in New York. 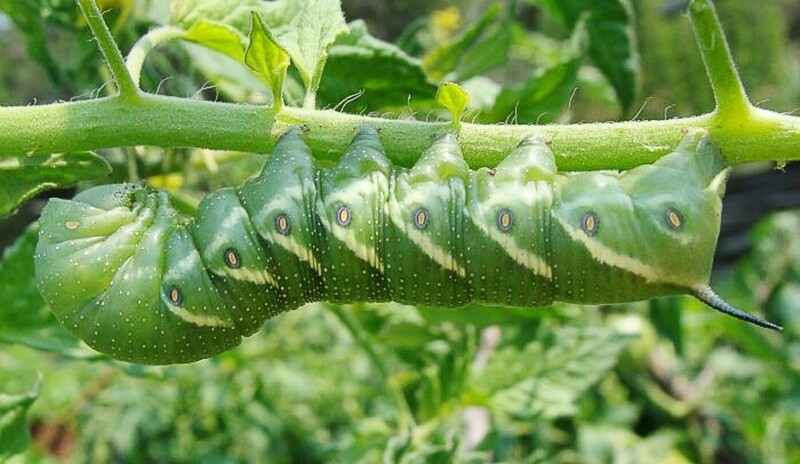 Tomatoes in the state were thought to be poisonous due to an infestation of a very large caterpillar known as the tomato hornworm. The insect got its name from its apparent fondness for tomato plants and the blue-black spine or horn at the end of its body. The caterpillar was not only thought to be toxic itself but was also thought to poison tomatoes as it crawled over them. The tomato hornworm is the larval form of the five-spotted hawkmoth, or Manduca quinquemaculata. Its main food is the leaves of tomato and other nightshade plants, but it may sometimes eat the fruits as well. The larva has an impressive appearance. It reaches three to four inches in length and has a robust body. The predominantly green color of the larvae and their habit of attaching to the underside of branches help to camouflage them. Still, it's easy to imagine why people in the 1830s were repulsed and even frightened by an infestation of giant caterpillars crawling over their tomato plants. Later in the century it was realized that the larvae were very annoying—as they are today—but not dangerous. The Indigo Rose variety of tomato has the darkest fruit of all. The dark purple tomatoes look almost black in the specimens that I've seen. They are rich in pigments called anthocyanins, which have health benefits. According to the botanical garden where I photographed the plant above, the taste of the fruit is reminiscent of plums. Heirloom tomatoes are becoming popular because they frequently have an enhanced flavor. The definition of heirloom or heritage tomato varies somewhat. In general, the term refers to an old variety that originated at least fifty years ago and sometimes appeared before the Second World War. 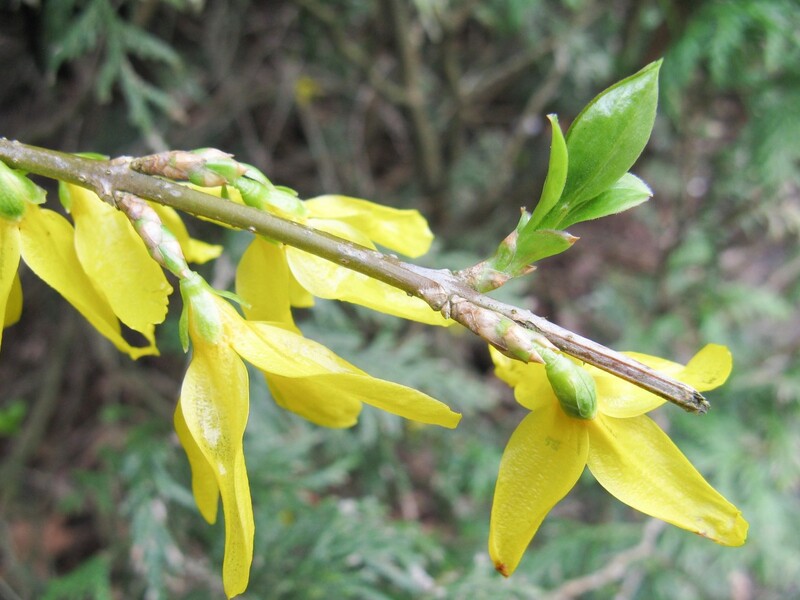 The plant is pollinated naturally without human intervention, a process known as open pollination. The seeds of the best plants are often passed from one generation of tomato growers to the next. Heirloom tomatoes have a variety of colors when ripe in addition to red and often have a blotched or striped appearance. They frequently have thin skins instead of thick ones and are therefore more delicate than modern varieties. For many people, the most important difference from modern tomatoes is the improved flavor. This flavor is not automatically present just because a tomato is an heirloom plant, however. Factors such as the composition of the soil in which the plant grew and the freshness of the fruit affect the taste. It's possible that a modern tomato could taste better than a heirloom one. Heritage tomatoes are generally grown outdoors. This means that in most areas they are only available during the growing season. Even then, they may not be available in a local grocery store. I have to go to my nearest Whole Foods store to find them. They are also more expensive than regular tomatoes. They can be a delicious addition to a meal, though. Tomatoes that are a color other than red are not necessarily heirloom tomatoes. Yellow and multicolored versions of modern tomatoes exist. 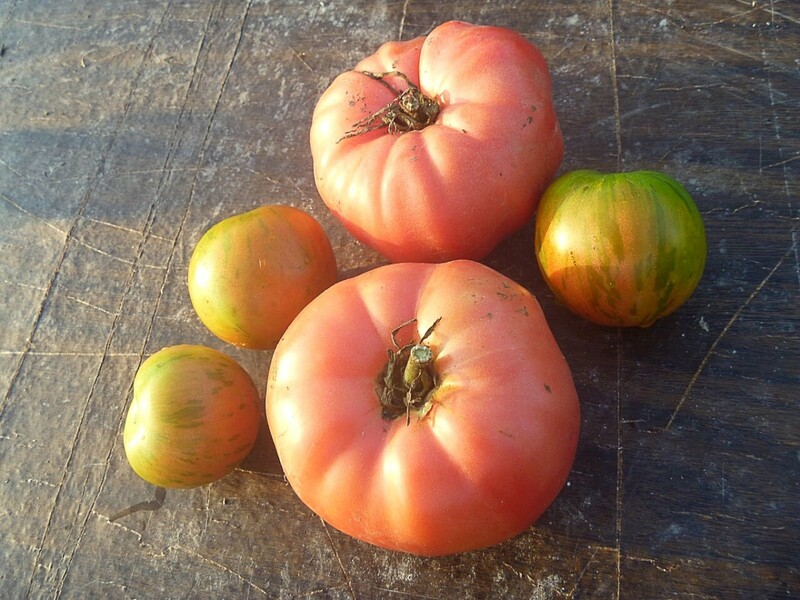 In addition, heirloom tomatoes may sometimes be red, large, and sturdy instead of smaller and more delicate. Researchers from the University of Florida have announced the results of an interesting experiment. They obtained 160 samples from 101 different varieties of tomatoes, which included both modern and heirloom fruits. They then asked a group of people to rate the samples for flavor intensity. Once this was done, the researchers analyzed the tomatoes for the presence of chemical compounds that were responsible for flavor. They found that thirteen compounds were more common in the tastiest tomatoes. In the next step of the investigation, the genes that coded for the tasty chemicals were identified. The researchers plan to use their new knowledge to guide growers in the selective breeding of crops. The goal is to produce tomatoes containing the tastiest chemicals. The scientists say that there may be some challenges in the process, however. People like their tomatoes to be sweet as well as flavorful. It may be necessary to grow smaller tomatoes in order to meet both of these requirements. 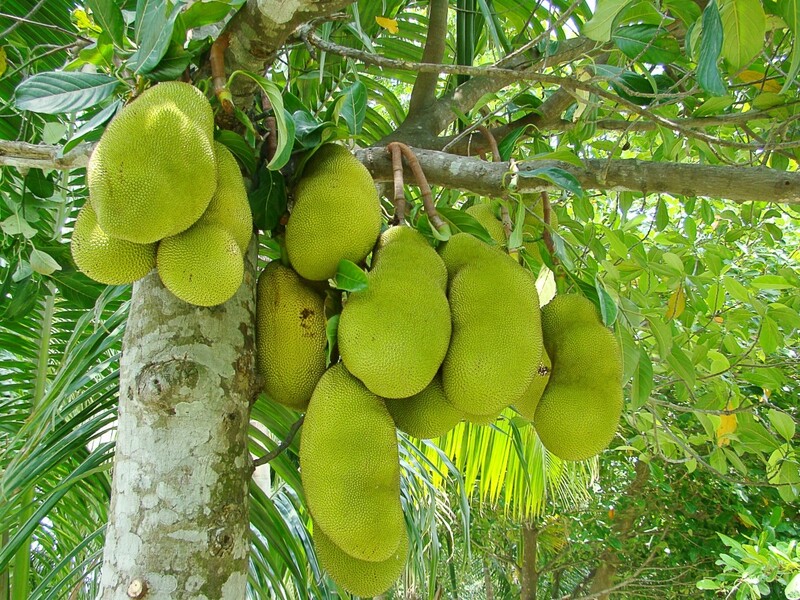 In addition, the fruits must maintain enough firmness to prevent them from disintegrating during picking, transport, and storage. The researchers say that suitable tomatoes should be available for commercial testing within two years. The Costoluto Genovese is an old Italian variety of tomato dating from the nineteenth century. 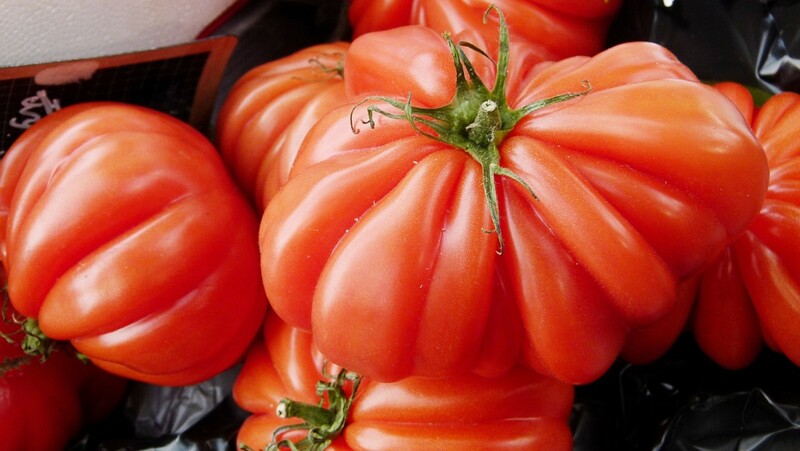 Even though it's an heirloom type, it can grow very large and is classified as a beefsteak tomato (one with a meaty texture). It also has a thicker skin than most heirloom tomatoes. It's said to have a rich flavor. The production of new and tasty varieties of tomatoes sounds like a great idea. Hopefully the scientists and growers will be successful in their quest for a better fruit and the final product will be both nutritious and affordable for many people. There are things that we can do in the present to increase the flavor of tomatoes. Some suggestions are listed below. Look for heirloom tomatoes during the appropriate time of the year. They generally aren't available at supermarkets, at least where I live, but may be available at specialist markets. 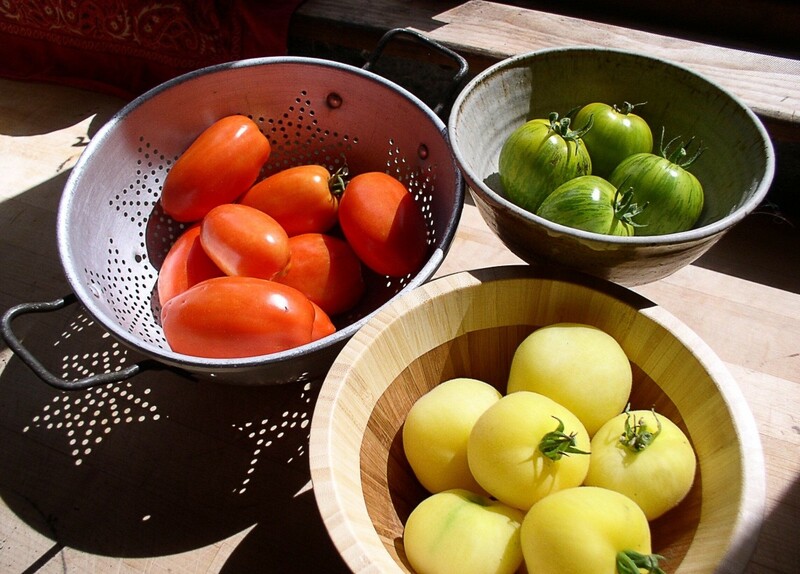 Try different heirloom tomatoes until you discover the varieties that you like. Note the grower of your favourite types of tomatoes. This information may be available for organic and heirloom tomatoes and for those found in farmers markets. If you like one variety produced by a farmer, you may like the others, too. Eat freshly picked tomatoes (of any type), which generally have a better flavor than older ones. Consider growing your own tomatoes. If you don't grow tomatoes yourself, visit a farmers market to see what it offers. Explore the taste of field grown tomatoes compared to that of ones grown in a hothouse. If all you can find is regular grocery store tomatoes, try the different varieties (if they're available) to see which type you prefer. Don't refrigerate tomatoes. While refrigeration makes the fruits last longer, it also weakens their taste. I buy tomatoes from my local supermarket and produce store, especially in winter, but I enjoy the hunt for better varieties. I visit health food stores and different farmers markets in my search and also receive tomatoes from a kind friend who grows lots of her own fruit. Flavor makes food enjoyable and is especially important when someone is trying to follow a healthy diet. I've found that eating healthy food that is also tasty makes it easier for me to avoid junk food. I don't want to sacrifice nutrition for flavor, though. My ideal tomato is one that is rich in nutrients and also tastes great. Since new varieties of tomatoes continue to become available, my search for the perfect type is probably a never ending process. Hi, Rachel. Yes, at the moment the flavour of tomatoes bought in a store is disappointing once we've tasted tomatoes grown at home or heirloom ones. I hope the taste improves. Thank you for the comment and the blessings. I always appreciate your visits. Hi Linda, Another thing we have in common. We love and grow tomatoes. Home grown tomatoes ruined it for me for store bought, though. There's nothing like the taste of a home grown tomato. I also love the heirloom tomatoes. They are so beautiful. Thanks for sharing your information and great pictures. Hi, MomsTreasureChest. Yes, tomatoes are certainly versatile. It's interesting to explore the different kinds. Very interesting article, I could eat tomatoes every day they are so delicious and can be used in so many different recipes. Summer is my favorite time of year when we can have homegrown tomatoes. I'm sorry about your tomatoes, Jackie, especially as you used to be so successful with them. Tomatoes fresh from the garden are great to eat. Thanks for the visit. I used to grow my own tomatoes and had such good luck. It was all I could do to can, freeze and cook up all I could, but lately nothing I do grows them good. Odd huh? I just quit trying. Thanks for the comment and for sharing the information, Rachel. A tomato festival sounds like a great idea! Blessings to you, as always. Hi Linda, Tomatoes are big here in NE PA. In fact we have a Tomato Festival every year in our town. Almost everyone grows tomatoes here. However, the Heirloom tomatoes are just beginning to come into being here. I love them, they are so pretty and great for salads. Thanks for all the information and all the work in this hub. Thank you very much, Tamara. I agree—tomatoes grown at home and freshly picked are delicious! I love tomatoes, and there is nothing better than when they are home-grown. Great article! I appreciate your comment very much, Grand Old Lady. Some tomatoes can be delicious compared to the usual varieties. I enjoy searching for the tasty ones. What an interesting article about the tomato. It is not easy to go into scientific terms and aspects about the tomato and still keep the reader interested, but your articles flow so well:). It also leaves me curious what a truly flavorful tomato must taste like. Thank you very much, Val. I had tomatoes in my lunch today, although they weren't especially tasty. I'm looking forward to a wider variety to choose from this summer. Linda---Another great and informative hub. Juicy too, because I love tomatoes and these good photos reminded me of that refreshing part of my dinner today. I don't think I've ever tried Pico de gallo, but I will now that you've given me the idea! Thanks for the comment, Jason. My wife has always hated tomatoes, but recently she has learned to make Pico de gallo, which we both very much enjoy. I agree that tomatoes are a healthy option and I'm glad that we've found a way to enjoy them together! Thanks again for your insights! Hi, Bill. Thank you very much for the comment. I'm looking forward to growing tomatoes this summer! Hi Linda. Great hub. We grow a couple of different varieties every summer and love the flavor we get from growing them ourselves. It was interesting to hear about the history and a few varieties that I had not heard of. Great job. Hi, Dianna. I enjoy eating tomatoes, too, though I don't eat them every day. They are certainly a useful fruit. Thanks for the visit. The tomato is my favorite fruit. I think I eat it almost every day. I learned something new about refrigeration and flavor. Guess I will be keeping them on my counter from now on. I love the story about your wife and the friendly hornworm, Mel, as well as your tale about the moths! It's great to hear about insects treated with respect. Thank you very much for the visit. Awesome summary of all things tomato. I particularly liked the hornworm. My wife found one in our backyard once, even though we don't grow tomatoes. Instead of being scary, it was absolutely friendly. She was carrying it around in her hand for a while, something I would never do, because I don't like bugs! They turn into beautiful moths that resemble hummingbirds the way they buzz around flowers. They used to fly into a guard shack I worked in around evening time, and I would catch them in a plastic cup and let them back outside. I hope they can produce a tastier tomato. 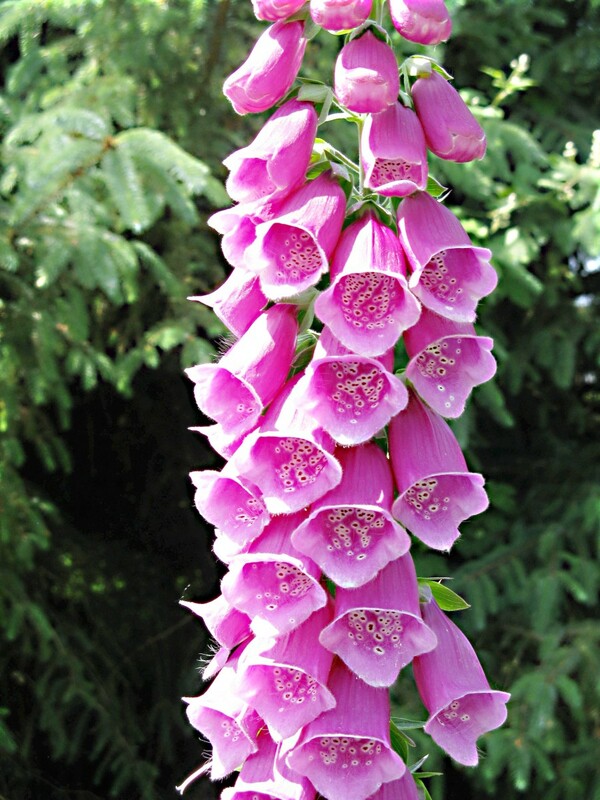 My grandma used to grow her own, and they were delicious. Great hub! Hi, Martie. Thank you very much for the comment and the link. I think that tomato hornworms are interesting animals, but I would certainly be disturbed if I saw lots of them on my plants! Very interesting hub about tomatoes. I'm going to add a link to my hub about tomato craving. That worm will give me the creeps! Thank you for the kind and funny comment, Genna. It's good to hear that your interest in tomatoes has returned. I think they're an enjoyable addition to meals. Linda, I love your hubs. I'm always a little smarter after I read them. :-) We used to grow tomatoes in the country when I was a little girl...my father had so many plants. Tomatoes, tomatoes everywhere. I have to confess I couldn't eat another one until years later. Now I love them. Thanks so much for this interesting article. Hi, Fiddleman. Scores are a bit of a mystery! I like the term "mater sandwiches". I'm going to start using it. Thanks for the comment and for sharing the interesting information. Hi Alicia, I see why you have a 96 hub score and mine can't make the grade. Tomatoes or as we in the South call them "maters" have seemingly lost their once great taste. My dad grew some fine tomatoes and we could make a meal eating "mater sandwiches" He planted the Big Boy variety and others but with they always had a wonderful flavor and were best when good and ripe with the juice having a reddish tint. Of course Dukes mayonnaise always made them better. He also liked the yellow tomatoes which were less acidic. Then there were the tommy toes or cherry-grape tomatoes we see in salad bars today. Fried green tomatoes have recently become favorites as an appetizer in some local restaurants, wonder if the movie had anything to do with that. Great hub now I'm hungry! Thanks, Nell. The history of the tomato is interesting to explore. The fruit seems to have produced some strong reactions in the past. How interesting! I sort of remembered about the poisonous reputation but the rest was totally new to me. great article! Hi, MsDora. Thanks for commenting. It does seem like a good idea to eat tomatoes both raw and cooked, for the reason that you mention. Thanks for these facts about the tomato "fruit." I like it raw but it seems that there is some difference in the nutrients when it is cooked, so for that reason, I eat it cooked too. Thanks especially for the facts under Quest for Flavor. Hi, Penny. I appreciate your comment. I love eating tomatoes with cheese. Balsamic vinegar and black pepper sound like great additions, too. Thanks, Nadine. I would love tomatoes to grow spontaneously in parts of my garden! I am looking forward to eating heirloom tomatoes in the summer very much. What fantastic information. I'm looking forward to more flavorful tomatoes. My favorite way to eat them is sliced with a little balsamic and black pepper sprinkled on them. Mozzarella on the side doesn't hurt either. Thank you very much! I appreciate your kind comment and vote. Hi, Kaili. Winter is a problem where I live, too. There's a much wider variety of tomatoes available in summer. I'd love to have tasty tomatoes during the winter. Thank you for the comment. Hi, Larry. Yes, my favorite type of tomato at the moment is one that has just come off the vine or bush. Thanks for sharing the funny disagreement with your wife! Thank you for sharing...this was really informative! I live in the great white north, so we can only get tasteless, imported tomatoes during the winter. There is nothing that beats the taste of a lovely heirloom tomato right off the vine! Grow them yourself and they have flavor, especially a good heirloom. I had a bit of botany. I told my wife they're fruit and she called me a liar, lol. It's interesting to hear that you don't like tomatoes, Bill. I like them, especially when they're freshly picked. I'm planning to plant a smaller variety this year. My dogs use most of the garden, but I have a small area where I grow plants. Hi, Vellur. Like you, I hope the researchers are successful in creating a better tomato. I'm looking forward to seeing what the scientists and growers create. Thanks for the visit, Flourish. Your comment about not eating a raw tomato and only eating cooked ones is interesting. For me, it's the other way round. I eat cooked tomatoes occasionally, but generally I eat them raw. Here's a veggie I cannot tolerate near my food. LOL But it was fun to learn about it...and I love growing them. 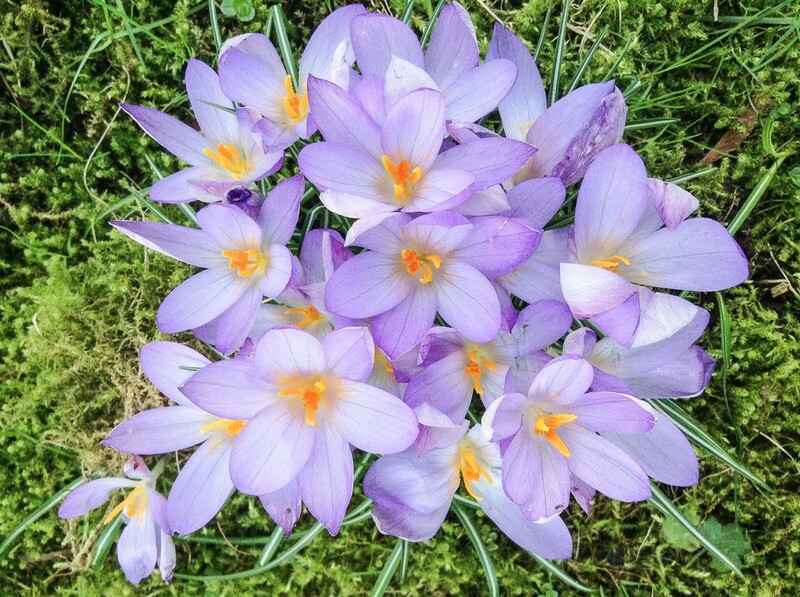 They seem to complete any garden, don't you think? Flavor of the tomatoes is sacrificed to get better disease resistant and firm varieties that are easy to transport. I hope the researchers successfully produce firm disease resistant tomatoes with all the chemicals that add great flavor to make dishes extra delicious. Enjoyed reading and learning about tomatoes, thank you for sharing. I especially enjoyed the historical information here, as I never knew about the poisonous reputation in the past. I do a lot of cooking with tomatoes but will not eat a raw one. Very good article.